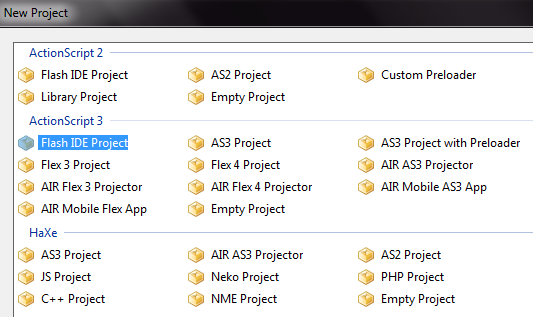 Give a name to your new project and choose the same location as your Adobe Flash project. When clicking OK, a warning popup will appear. Do not worry, this is only because you have a Flash file already in this folder. Click OK. If FlashDevelop requests it, choose an author name. 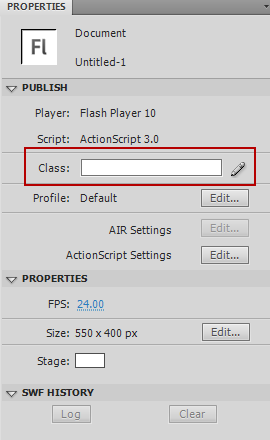 Give the same Class name as the one you’ve previously created on Adobe Flash. 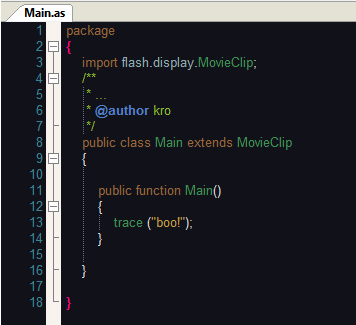 Extend the MovieClip class, and FlashDevelop will automatically add the line to import the library MovieClip library. At this point, your script won’t run, as you need a MovieClip, so go ahead and create one (Insert > New Symbol…). 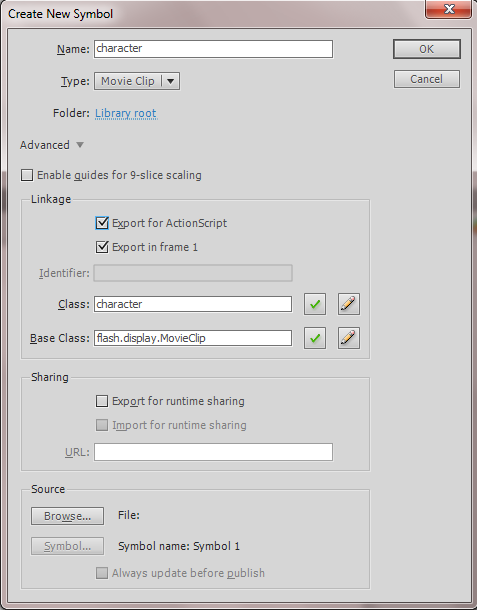 Give your MovieClip a name and make sure to tick “Export for ActionScript”. Click OK. 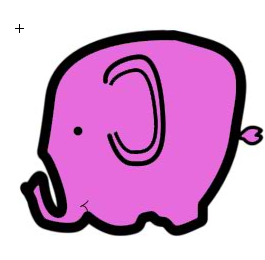 Draw something and save it. 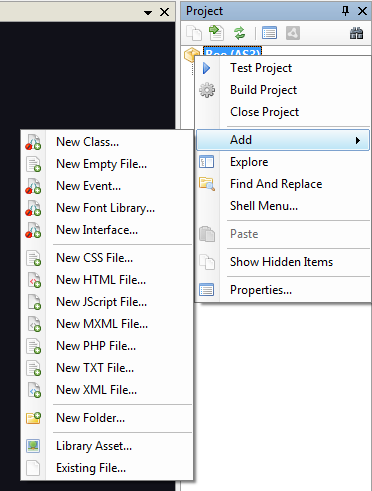 You should now be able to run your script from FlashDevelop and/or Adobe Flash by pressing Ctrl + Enter.